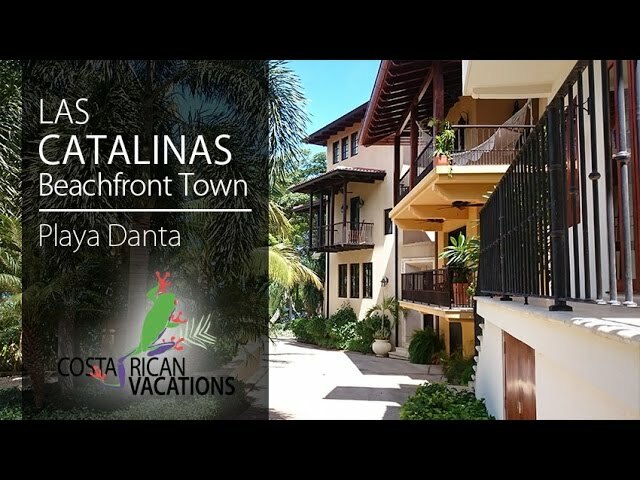 3-Bedroom Home Rental in the Beachfront Las Catalinas Community. This three-level oceanfront home is set in a quiet, beachfront community called Las Catalinas which overlooks the north Pacific coast of Guanacaste. Just steps away from Playa Danta, this rental features a comfortable living room with spacious terrace and stunning views of the Pacific Ocean. At Casa Celaje, the three bedrooms are all en suite and decorated with local photography. Each has a terrace for enjoying the fresh air and views. The property also has a fully equipped kitchen, WiFi, and a daily housekeeping service. Relax inside this cozy home or take a dip in the small private plunge pool. Enjoy the peaceful ambiance of Las Catalinas, get to know the local wildlife of Costa Rica, and make yourself at home in Casa Celaje. Las Catalinas also provides beach toys for rent, a beachfront restaurant, and a beach club with daily activities, three pools, and a gym. Other on-site offerings include 24-hour security, spa treatments, and concierge service.